Hi, i don´t know how to use it. In Hosting dns are modified. That's a "cant connect to server" error. 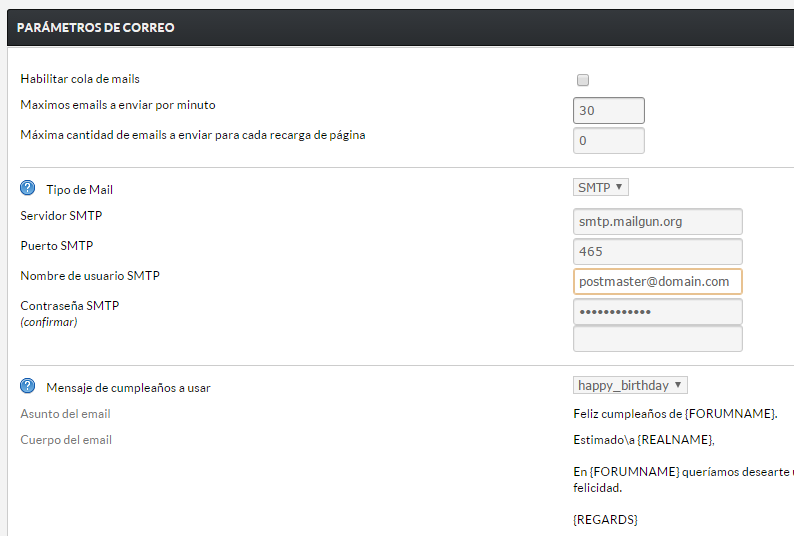 Where the SMTP username box is, shouldn't it be something different than postmaster@domain.com? 1364:	// Try to connect to the SMTP server... if it doesn't exist, only wait three seconds. Can you check if you have OpenSSL installed? Running a php_info should tell us. Yeah we had several issues with Godaddy not allowing any SMTP connections. Maybe you ask them? of course, like 15 times? 20 times? i'm tired of this guys... now I am moving all to new server. thank you all anyway. Sorry we couldn't get this sorted. Have you considered using googlemail/gmail as your smtp provider? Works a treat. yes, but i can´t find a guide how to install. Ahh, ok then. Was worth a try.